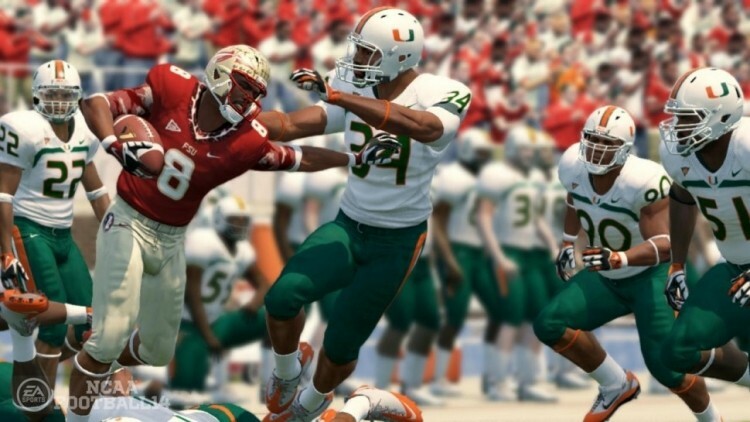 Electronic Arts recently announced they will not publish a college football game next year. EA’s GM of American Football Cam Weber revealed the news in a blog post on the subject, saying the company was evaluating their plan for the future of the franchise. The news comes just a few months after the NCAA decided not to renew a licensing partnership with EA Sports. The company would still be able to produce a college football game for the next three years thanks to an agreement with the Collegiate Licensing Company (CLC) but they wouldn’t be able to use the NCAA name and its accompanying trademarks. EA has put out a college football game every year since 1993 but in recent years, student-athletes have been seeking compensation for playing college football. Athletes (for the sake of argument, college football players) claim the NCAA is making millions of dollars using their names and likeness to sell apparel, video games, etc. It’s a dispute that continues to gain traction and could ultimately lead to major changes for college sports in general. As a result of a recent settlement and other court rulings, EA Sports has agreed to change the way it develops future games featuring NCAA athletes in order to protect the rights to their likenesses. If EA does ultimately decide to release another college football game, doing so without the NCAA and its branding would likely be a disaster as people pay to play as their favorite teams and players. A game with generic players certainly wouldn’t fly off store shelves the way past titles have, that’s for sure.